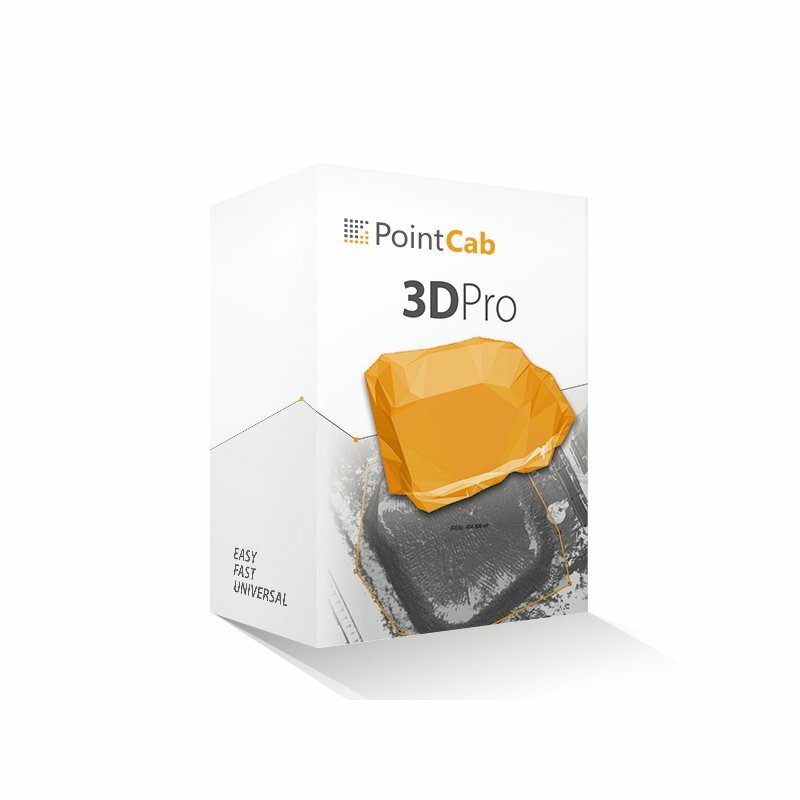 PointCab 3DPro provides the full range of functions for comprehensive point cloud evaluation. Whether 2D or 3D functionality is used, PointCab 3DPro enables an optimized workflow from the point cloud to the 2D plan or 3D model. 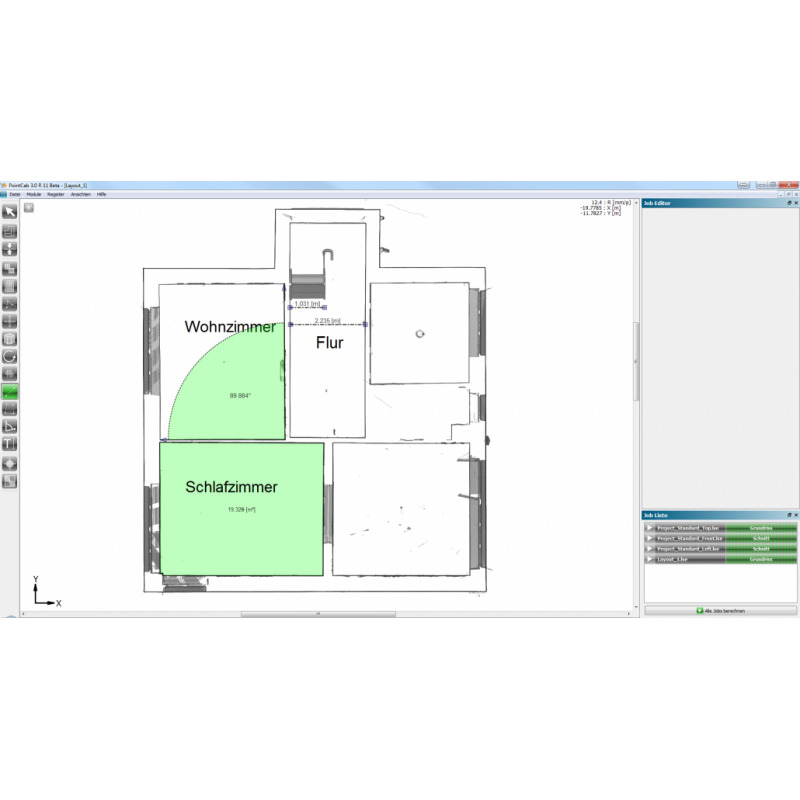 Via the integrated 4CAD interface, the PointCab plug-ins for Autodesk Revit and Graphisoft ARCHICAD can be integrated into the software later and linked to your CAD system for simple BIM creation. 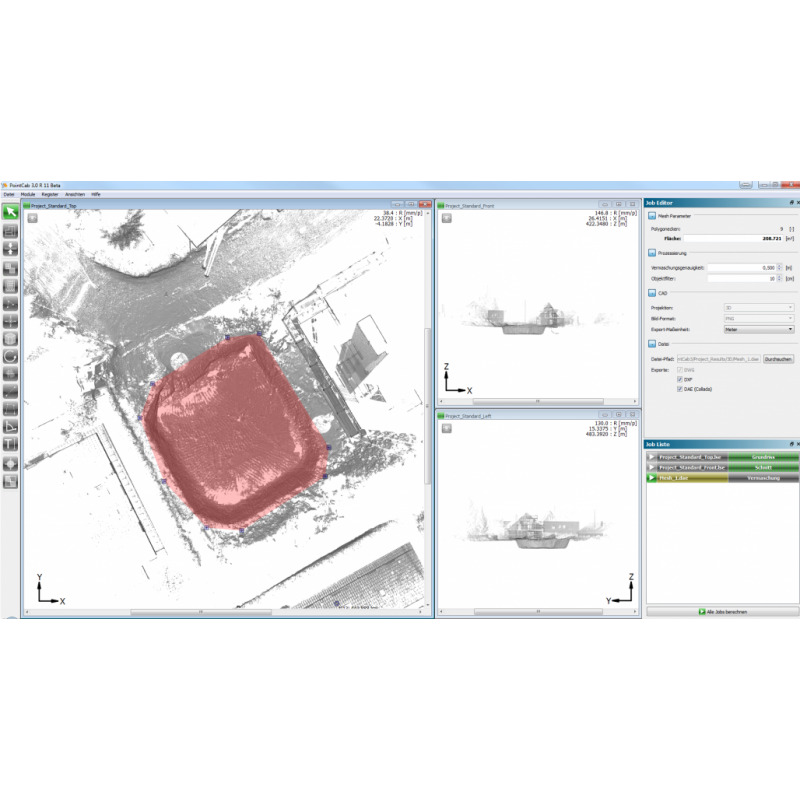 PointCab 3DPro also contains the function for registration of terrestrial scans and the combination of a variety of point cloud data.